Since the public outing of Neo-Nazi leader Andrew Anglin's mail drop on the 15th of last month, a great deal has been going on behind the scenes and in the back alleys of Columbus's white supremacist underground. 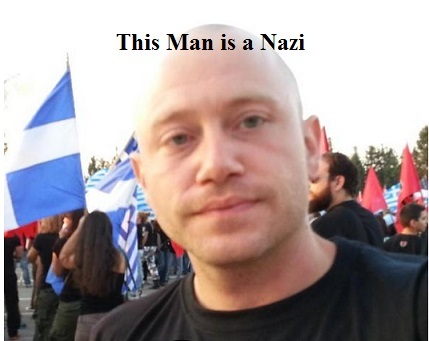 Despite assurances from the FBI to people who have been threatened by Anglin and members of his neo-nazi website the Daily Stormer that he is overseas, likely in Germany, he has surfaced in Columbus Ohio on unknown business. The FBI, working in conjunction with detectives from the Columbus Police Department, seem more interested in investigating anti-racist activists than running down the location of a man making threats in public to local journalists. The Mockingbird's competitor publication Columbus Alive, also covered the Anglin story in depth. Within hours of the release of their story on a demonstration outside Anglin's father's business and an extensive background on the young would be fuhrer, the press spokes person for the group calling the demonstration received a personal visit from Anglin himself at their work. The group made no public comment on their security measures after the revelation of Anglin's mysterious ability to teleport undetected by the FBI from Central or Eastern Europe. Staff at the Columbus Alive, as well as the parents of minors threatened by Anglin, had been assured by the FBI of the latter's belief that the former was in Germany according to sources close to the Mockingbird. Either the FBI is lying, or they are too lazy to check flight records and Visa activity on the passport of one the nation's most notorious neo-nazi propagandists. The FBI reached out to the Alive as before the threats began and immediately injected the contact information for a known right-wing police officer into the mix, hoping the Alive would give up their sources or pressure them into contacting Detective Roger Dickenson. Dickenson has previously attacked another other special duty Columbus Police Officer who was contracted to guard a Women's health facility against pro-life activists. He is also a common sight a left of center demonstrations, often carrying a video camera to intimidate activists record their presence for police records. The neo-nazi messages have been up for over a week. With literally thousands of people passing everyday one is hard pressed to comprehend how the OSU Administration is completely unaware of the graffiti and it's implications. Columbus Anti-Racist Action, the same group that drew public attention to the Daily Stormer's mail drop in Worthington, is planning demonstrations in the near future to pressure the OSU Administration to remove the graffiti and it's racist authors from campus. We will see how the OSU Administration responds to this and other Neo-Nazi organizing on it's flagship campus in the coming weeks.